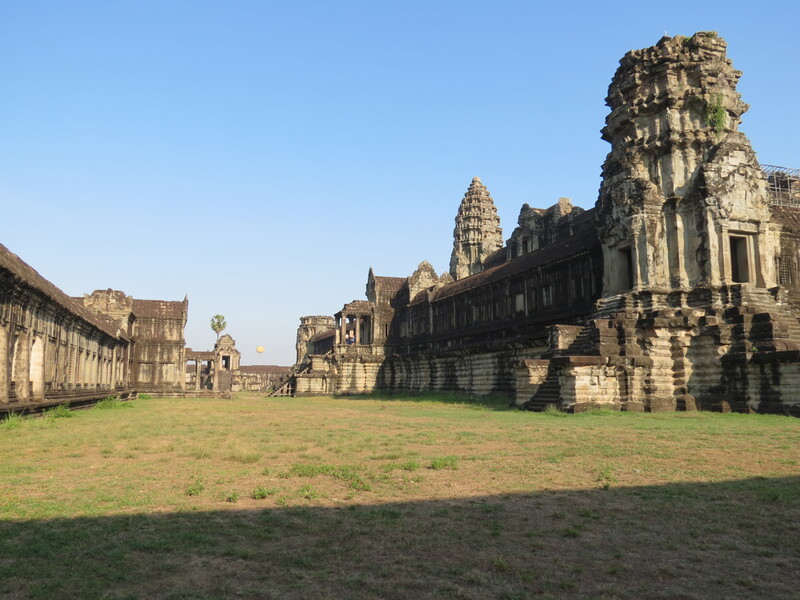 Thinking of visiting Siem Reap and deciding if you should take a tour or just hire a tuktuk and roam the complex on your own? My cousin and I had the same dilemma, since we were initially a bit iffy about having to make a Western Union transfer amounting to 50% of the tour. 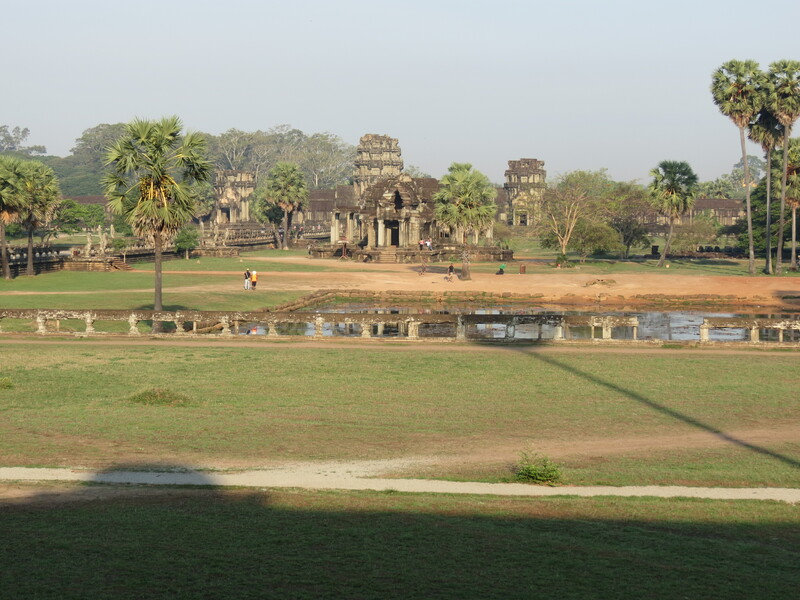 Relying on the excellent reviews of the Happy Angkor Wat Tour we found online, we decided to book with the said tour company and chose Veasna as our tour guide. 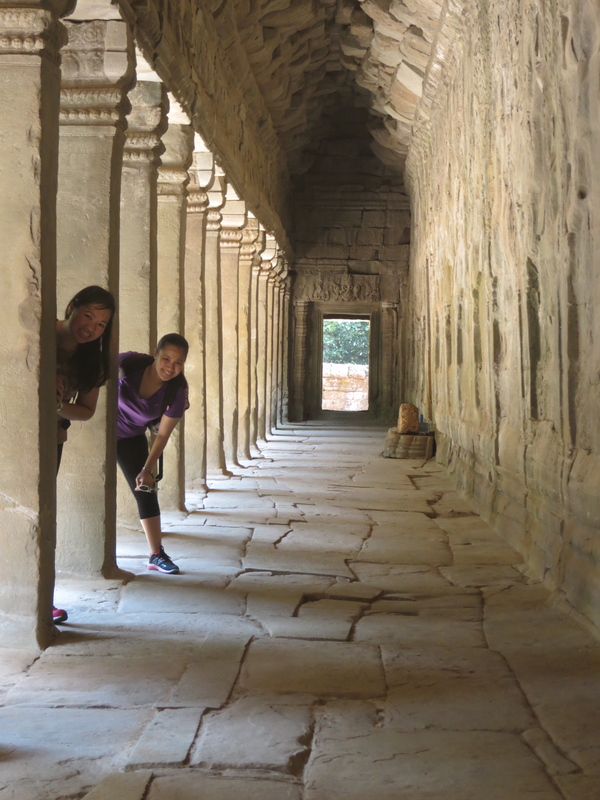 Here are a few facts about Veasna, based on our experience, that will hopefully convince you that booking a tour with Veasna is the best way to visit Siem Reap. 1) One of the most important attributes a tour guide must have is the ability to take good photos to help the traveller capture moments of what-could-be the trip of a lifetime; and this is where Veasna never fell short of. Not only does he maximize the potential of one’s camera, but he also knows which angles would look best in the photos. He made sure both my cousin and I did not miss out on any photo op and was very patient in bearing with our photo-obsessed personalities. 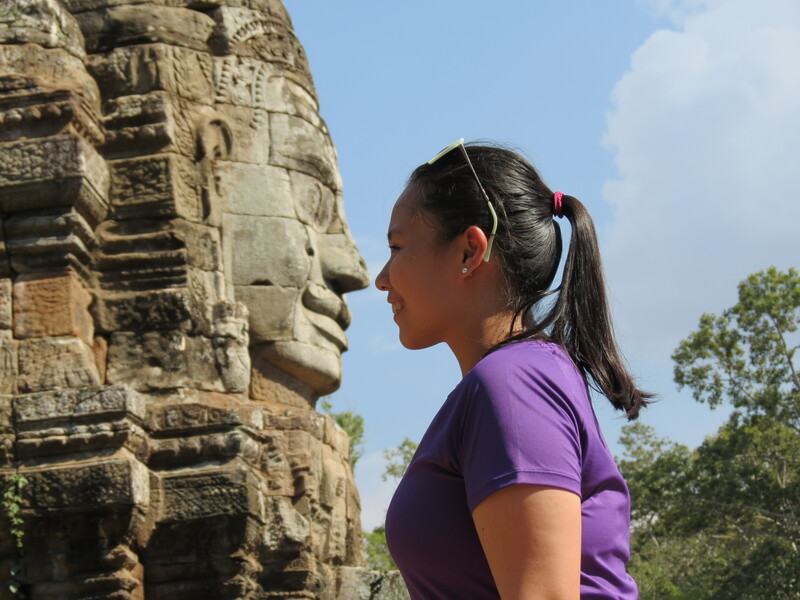 2) Veasna will tell you the most interesting of stories about Cambodia’s heritage, culture, and people. While roaming temple grounds, he told us the history of how each came to be. 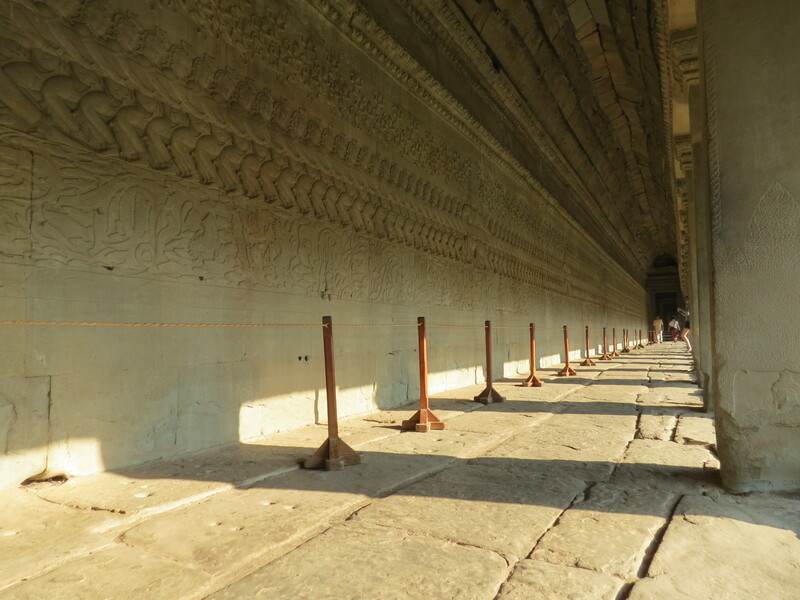 3) Following that, he will patiently and ever so kindly answer each and every question you have about Cambodia. 4) There have been a number of times I heard about tours wherein their guides would rush the tour, making it look like he just wants to finally get it over with. With Veasna, not once will you ever feel this way. He will make sure that the tour is perfectly-paced for you. 5) That being said, part of taking a tour with him is having the luxury of being given a bottle of water and a cold hand towel every now and then. Let me tell you that every cold hand towel we received was always such a delight after having roamed the grounds of a temple under the scorching heat. 6) Another reason why you should chose Veasna as your tour guide is because he will go out of his way to bring you to places that aren’t even on the itinerary – and for free! 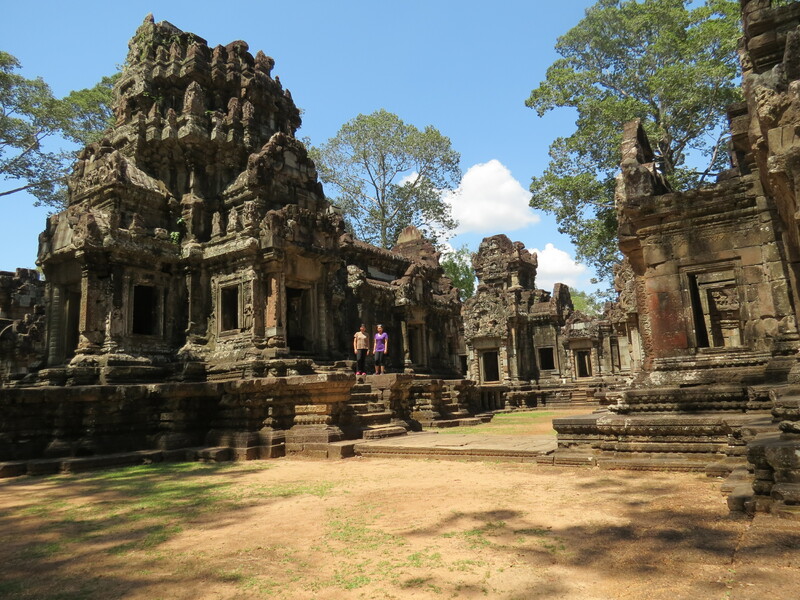 7) One of the best things about booking with Veasna is being able to go to the temples without battling with hundreds of tourists. Since he has been doing this for years, he knows the best time to avoid the hoards of tourists and the best route to take around the temple. There were barely any other people in each temple we visited, and there were even times that felt like we had the whole place to ourselves. 8) I’m sure time and time again, although luckily I’ve never experienced it, you’ve heard stories about tour guides leading their tourists to particular shops and restaurants so they can make the most about the fact that you’re paying and that they’ll get to order whatever they want. Even more terribly so, some have pre-meditated plans with these shop/restaurant owners so they can get kickbacks whenever they bring tourists there, not considering whether or not their client is getting their money’s worth. With Veasna, he asked us if we’d prefer to eat back in town or within the Angkor Complex and not even once joined us for a meal (although we wished he did). Not once did he take the opportunity to get a free meal out of us, even if we most definitely believed he deserved to. And might I add, all the restaurants he suggested were delicious and reasonably priced. 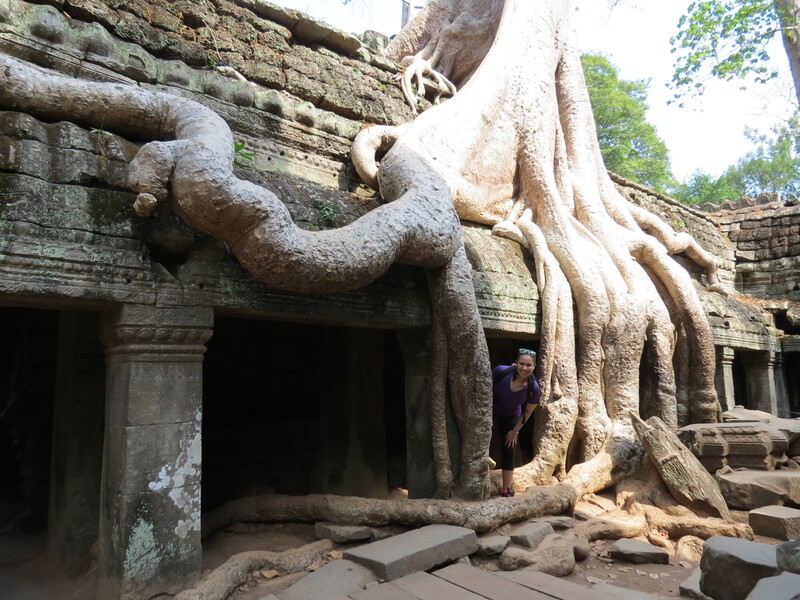 9) Cambodia has become one of my favorite countries, as I mentioned in one of my posts before; it wasn’t just the sights or the food, but the main reason why it became so is because of the people. 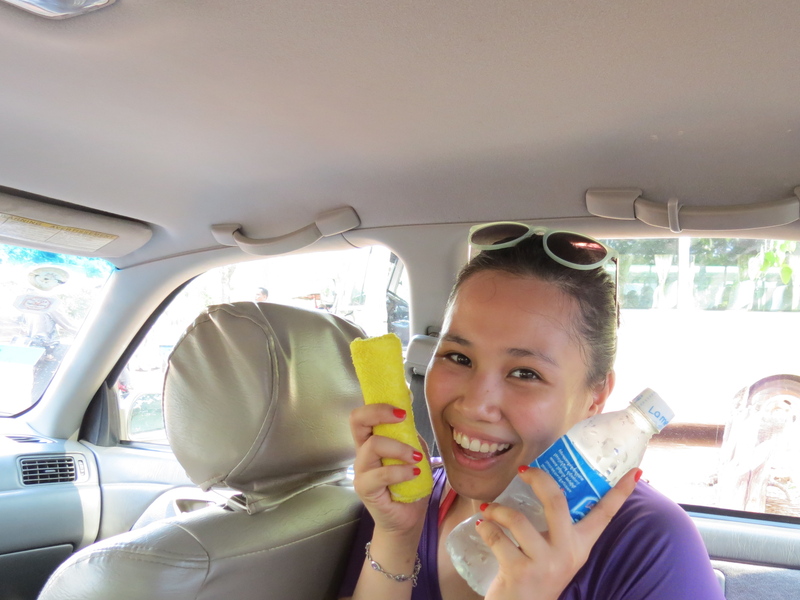 I’ve travelled quite a lot and Veasna is one of the people I can say is truly and genuinely kind. He was the perfect gentleman with my cousin and I, and did not speak one word against his people and his country even if Cambodia has had quite a difficult past. 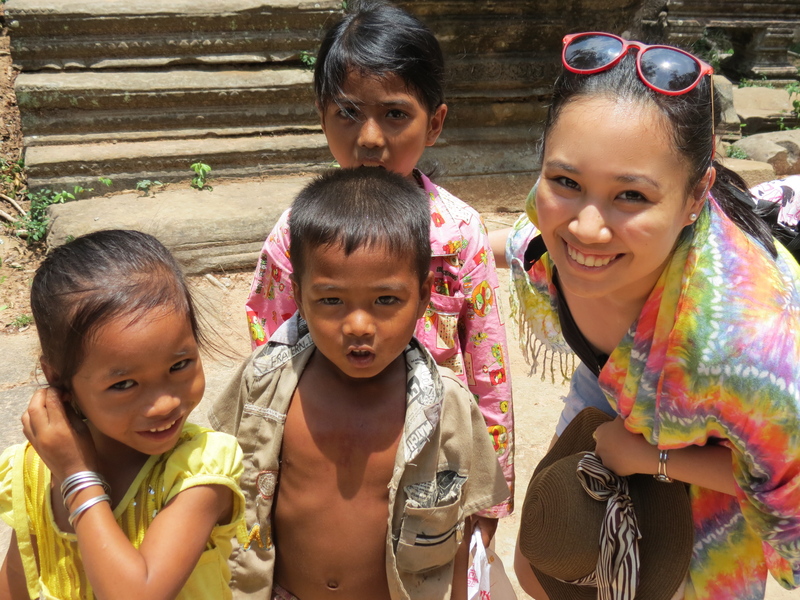 …and having our photos taken with the cute Cambodian kids in Beng Mealea. By the time we told Veasna we wanted a photo with them, they starting running in the direction opposite ours, but he still made sure that our wishes were granted. 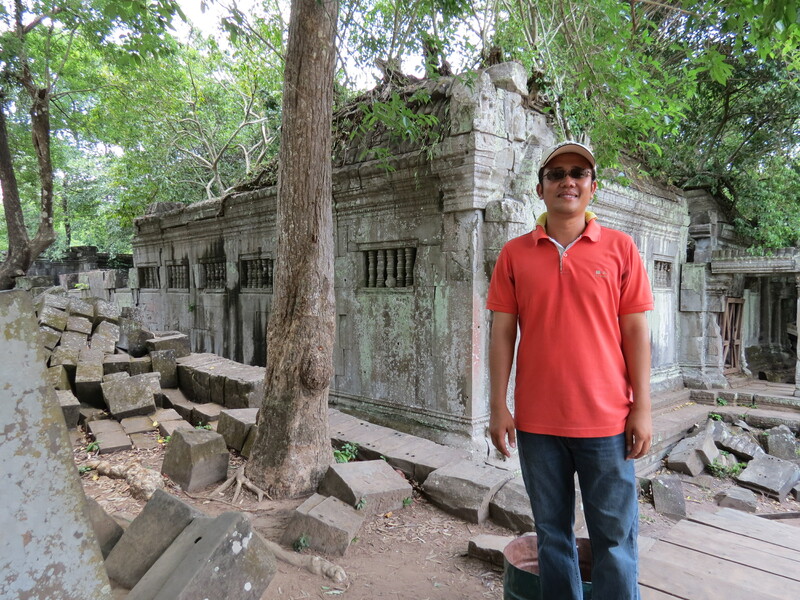 11) Last but not the least, the very reason why my cousin and I enjoyed Siem Reap more than other people can say, I believe, is because of our tour guide. Throughout our 2-day tour, I saw his passion and love for his country, culture and heritage that was embodied in the all stories he told us, and I think that’s the very factor that makes a great tour guide. 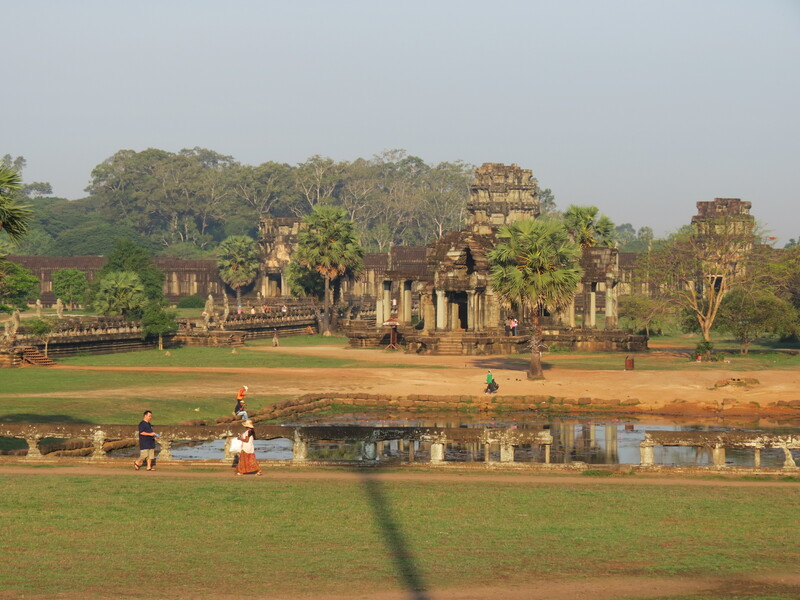 A couple of my friends who have been to Siem Reap before didn’t fall in love with the city like (my cousin and) I did and don’t see themselves going back to Cambodia. 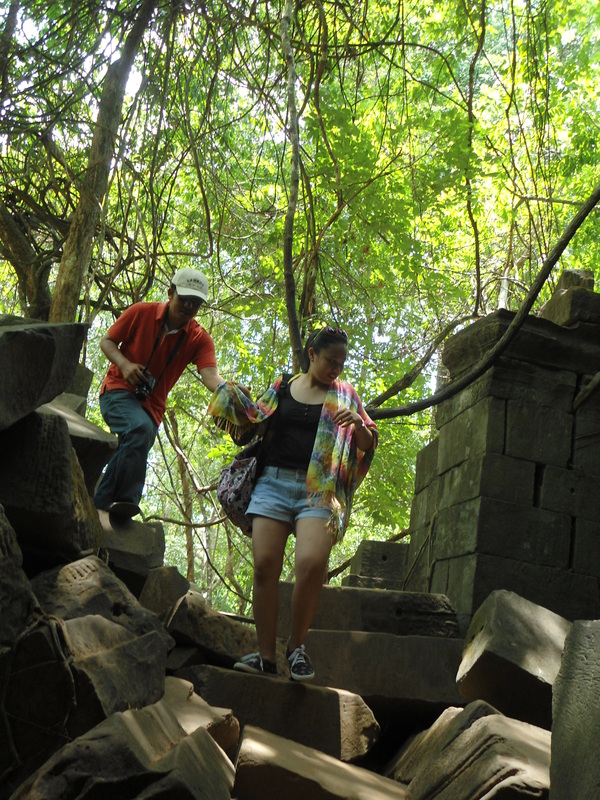 So I believe the very reason we had such a great time on this trip was because of Veasna, the best tour guide a traveller to Cambodia could ever ask for. What else are you waiting for? 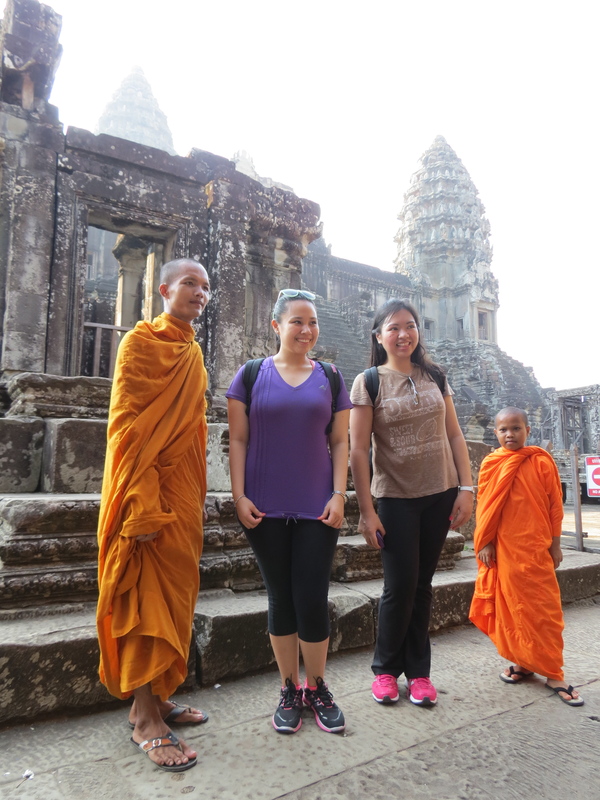 Pack your bags, book a trip to Siem Reap and choose Veasna as your tour guide! You can email / message me incase you want to ask how to book with his tour company. Happy travels!